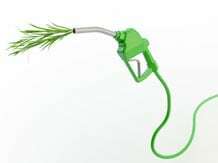 In a significant step towards generating biofuels from non-food plant sources, the US-India joint consortium for the development of sustainable advanced lignocellulosic biofuel systems will spearhead research in the production of commercially viable biofuels—ethanol and butanol. Set up by both the governments, the Joint Clean Energy Research and Development Center (JCERDC) by 2017 would work to deliver a working model for their production using non-food feedstock crops — energy sorghum, bamboo, pearl millet (bajra) and switch grass. The centre would also engage state-sponsored and private bodies to devise sustainability and supply chain of feedstock besides setting up industry standards and certification for these biofuels. Lignocellulose refers to plant dry matter (biomass), and are called lignocellulosic biomass, and is used for the production of bio-fuels, mainly bio-ethanol. The CSIR-Indian Institute of Chemical Technology (IICT) and the University of Florida in the US are heading the efforts in the respective countries. While the target for the Indian consortium is to extract commercially blendable ethanol at Rs 30-36 or $2 per gallon from these non-food feedstock, the US partners were aiming for butanol at the same dollar price. The project outcome would significantly help oil marketing companies meet the Union government's compulsory 10 per cent of fossil fuels through ethanol blending, while in the US, see a reduction in the share of biofuels derived from food crops like corn and sugarcane. “We expect by 2017, the industry partners in the consortium would have plants almost ready for commercial production and it would definitely add up to the ethanol blending to a great extent once we have success in the project,” said Ahmed Kamal, director of IICT. The Indian industry partners in the joint effort include Hindustan Petroleum Corporation and Abellon Clean Energy Ltd, Ahmedabad. Academic bodies include Icrisat, IIT-Delhi , IIT-Madras and Tamil Nadu Agricultural University. In India, the oil industry was facing huge constraints in procuring ethanol and, therefore, had been able to blend it to just 5 per cent in the conventional fuels, that too, mostly in metros. Molasses, the main source for ethanol, is widely in demand for multiple uses by the competing sectors of the economy, and its availability is limited due to the seasonality in the sugar crushing in India. The programme also prioritises cultivation of non-food crops in marginal lands in Madhya Pradesh and Gujarat, nullifying the concerns associated with diversion of prime farm land, water and fertilisers. The gene varieties developed by Icrisat and the Indian Council of Agricultural Research were already witnessing prospective results. “We are getting 18-25 tonnes of feedstock (dry matter) per hectare in these marginal lands. The bajra and sorghum lines developed by Icrisat and the directorate of Sorghum Research are adopting well to the marginal lands that are characterised by drought, high salinity and low nitrogen conditions,” said SV Ramakrishna, consultant for the JCERDC project. Both India and the US governments have committed an equal $6.5 million for research and development activities under the project. India, which doesn't have the industry standards specification for the production of second generation biofuels, will now through the project will get to formulate them.